When you walk into an Adult ESL class at International House, you might see people from seven or eight different countries and linguistic backgrounds, all learning together! Our Adult ESL program attracts participants from around the globe, coming together to master English and to become more familiar with life in the Queen City. The tangible objective of these ESL classes is to develop students’ verbal and written proficiency in English. However, the less tangible result of these classes is the benefit that the students receive as their time together allows them to build a close-knit community. 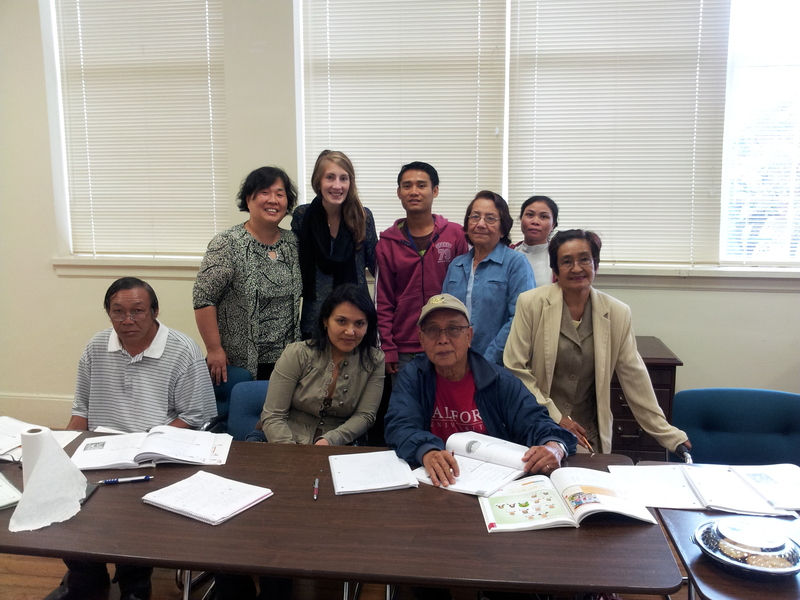 Adult ESL students at International House meet together for a total of four hours per week from September to December, working together with an instructor. These hours spent together build up, developing relationships that can last even after the course has finished. Although the students come from different linguistic backgrounds, they all live the language of compassion—a language that does not always require words. The students in our Adult ESL courses are building connections and friendships that will carry on outside the classroom, helping make Charlotte’s international community that much more vibrant and that much more connected. There are a lot of myths floating around out there about immigrants who come to Charlotte and other cities across the U.S. This is one of them. Unfortunately, repetition of misinformation can often fuel the fires of anti-immigrant sentiment and even racism. It is important that organizations like International House and others serving Charlotte’s immigrant communities lift up our voices to offer facts that counteract some of these stereotypes and misconceptions. How often have you heard a comment like this? “Immigrants aren’t interested in fitting into our society. They don’t want to learn English or become Americans. My grandparents were immigrants, and they had to work hard to learn English and to assimilate. Today’s immigrants should do the same.” Well, the reality is that most immigrants today ARE working hard to learn English and adapt to their new country. Within 10 years of their arrival, over 75% of immigrants speak English well. However, many work two or more jobs, have few financial resources or need child care in order to take an ESL class. English language programs in the United States are insufficient to meet the demand. 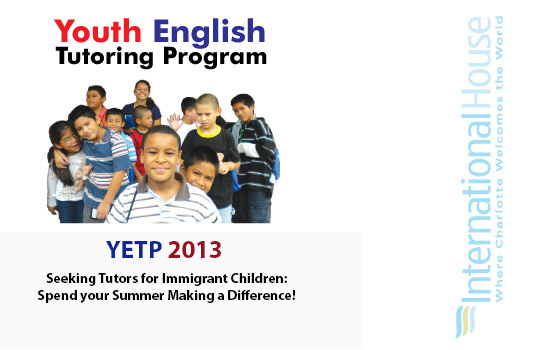 It is estimated that more than 90,000 immigrants across the nation are on waiting lists to learn English. Here at International House, we can testify to the desire of Charlotte’s immigrant community to learn English. Stop by one of our weekly ESL classes. You will see an array of eager students from countries around the world hard at work to learn a language they know they must master in order to succeed. There is a local baker from Honduras, a former engineer from Iran, a night-shift worker from Laos, a young widow from Mexico, a newcomer from Haiti, a grandmother from Peru, and refugees from Vietnam, Somalia, and Bhutan. International House’s educational programs are highly regarded and sought out by many immigrants who don’t want a hand out, but simply a “hand up”, i.e. the tools they know they need in order to better integrate into their community. Our ESL classes, one-on-one tutoring program, citizenship classes, and basic life skills workshops are all filled by some of Charlotte’s newest residents who are seeking the American Dream, just like the rest of us. They want to become U.S. citizens in spite of difficult requirements and long delays. The percentage of the U.S. population that is foreign-born today is about 12%. In the early 20th century, it was about 15%. Immigrants who arrived here 100 years ago faced similar types of discrimination and suspicion as those coming here today, but history shows that they successfully assimilated into our culture and country. Today’s newcomers are adjusting and blending into U.S. society at the same rate as previous generations of immigrants. 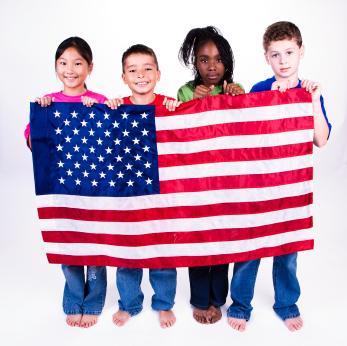 Let’s give them a chance and salute them for their hard work to learn English and provide for their families. We are glad they are here!